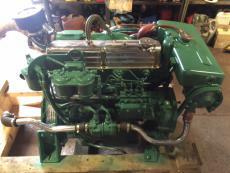 Ford 2712E Based Sabre 80hp Heat Exchanger Cooled Marine Diesel Engine. 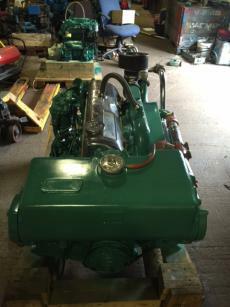 This engine is one of a pair that we have available and have run only 1700hrs from new with a genuine private owner, they have not been worked commercially. Both engines start and run nicely without any knocks, funny noises or any smoke at all. 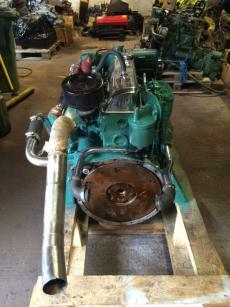 Rare to find such good Ford 2700 Series engines. 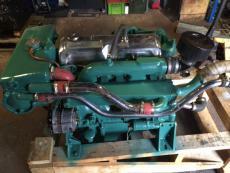 Both engines have been test run, cleaned, serviced and repainted to a good standard. They are currently Bobtail spec i.e. without gearboxes but we can offer them with a choice of Borg Warner or PRM Hydraulic boxes at extra cost. Price quoted on the advert is Per Engine.